Due to some specific email campaign requirement marketers donot want to send an email campaign to selected few subscribers from an email list, i.e. excluding few emails from an email campaign temporarily. 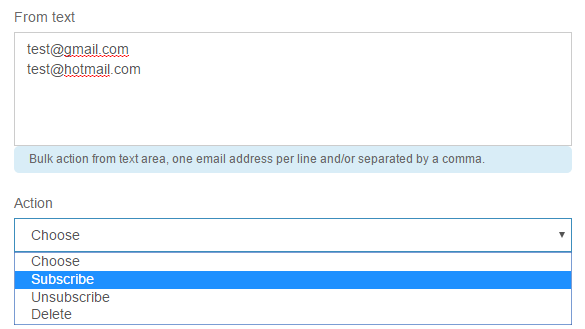 You can do this by unsubscribing selected emails from the list and then, sending email campaign to the list. 3. Inside new popup, you can paste the email list and select “Unsubscribe” action according to the email of yours. 4. 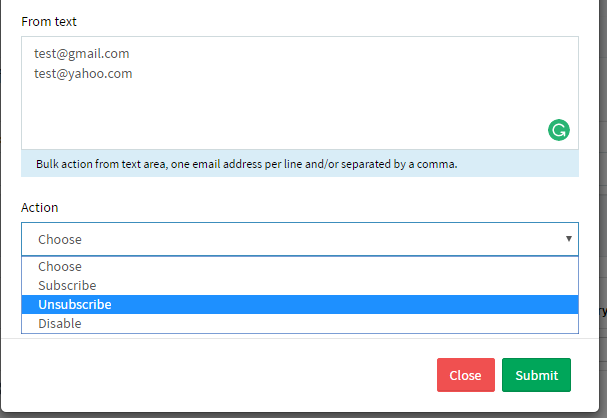 Now you can send email campaign to this email list and the email campaign will not go to the above unsubscribed emails. 5. After the email campaign sending completes, you should subscribe the emails back into the list.